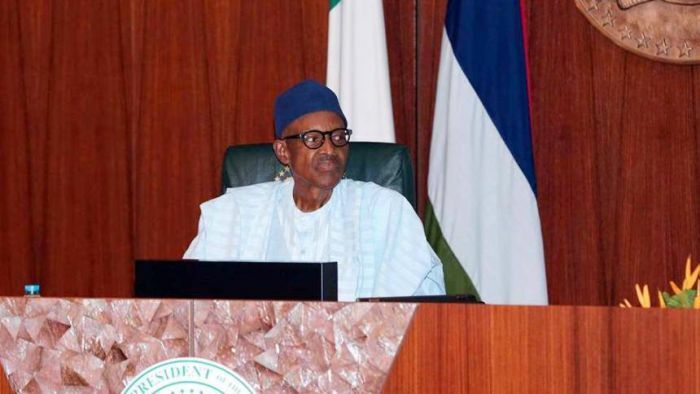 The deputy chief whip of the Nigerian Senate, Francis Alimikhena, has called on Nigerians to join faith together and pray for President Muhammadu Buhari for quick recovery. Senator Alimikhena, who represents Edo North in the national assembly, also appealed to Nigerians to exercise restraints in their death wish and inflammatory statements which he said are capable of plunging the country into further crisis. According to him, some inflammatory statements and death wishes by some desperate Nigerians to score political and personal points, are capable of threatening the peace and unity of the nation. In his Eid-el Fitri message made available by his personal assistant, Ben Atu, Alimikhena tasked Muslim faithful to imbibe the lessons of Ramadan in all their daily activities and join efforts in the continue political and religious stability of Nigeria. The deputy chief whip of the senate further appealed to political leaders to stop the promotion of conflict as shadow sponsors, adding: “What we stand to lose at the advanced stage of conflict is more devastating than whatever gains we may anticipate. While thanking the Acting President for his peaceful moves and town hall meetings with various ethnic group, Senator Alimikhena lamented the determination of some individuals to pull the nation back to its dark ages. He said: “Our founding fathers had reasons to have divided the nation but decided to remain as one in their collective wisdom. We must maintain the path of our founding fathers. It is too late for us to divide the nation for our personal reasons. “Whatever we have not been able to achieve as a nation, we cannot achieve it in division. There is more need now for our collaboration than ever before.